Economic growth based on the unsustainable use of natural resources is no longer viable in a world facing the pressures of a growing population, climate change and increasing risks of food shortages. Against this background ensuring the sustainability of the natural resource base is crucial. Moving to a greener development path requires incorporating the environment into every aspect of the national planning and budgeting process. A key obstacle for many developing countries in meeting this objective is a lack of capacity for identifying environmental challenges and priorities and their implications for development, formulating policy responses and implementing strategies. 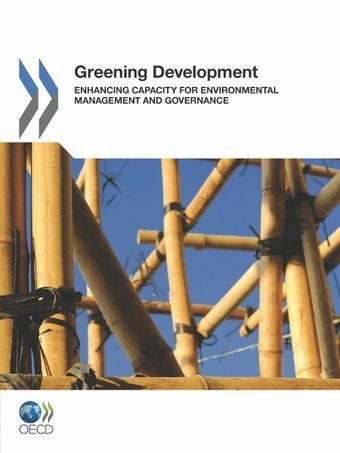 It is against this background that the OECD’s Development Assistance Committee (DAC) and the Environment Policy Committee (EPOC) have combined their expertise to develop this report Greening Development: Enhancing Capacity for Environmental Management and Governance. The guidance focuses on three levels: that of the individual, the organisation and the enabling environment. It provides practical recommendations on how to develop capacity for greening development through integration of environmental concerns into policy frameworks and budgetary processes. Recognising the different country contexts, this guidance advocates an iterative approach to strengthening country systems for the management of natural resources and the environment.